Chris plays a retro style full hollow body electric guitar. This guitar was made famous by Bill Haley and the comets along with Scotty Moore from Elvis. These are the first "electric" guitars ever created. This guitar was created for jazz music when Chcuk Berry , and other artist began using the guitar to play R & B. 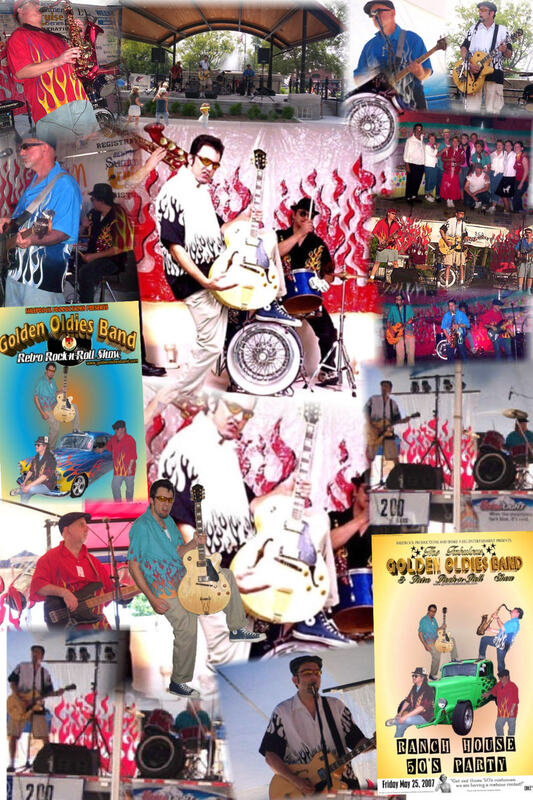 This style guitar has become famous with rockabilly music from the Stray Cats to Eddie Cochran. 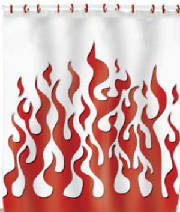 For more information about rockabilly guitar click the logo. 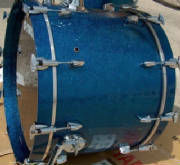 ludwig blue sparkle drum set complete w/ vintage hardware. This is the look of the 1950s drummer. These drums are set-up jazz style and give that bee-bop sound that helped usher in rock-n-roll. 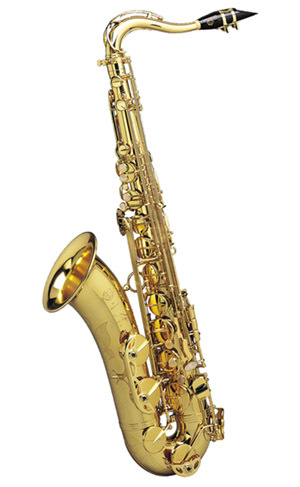 The tenor SAX to help to take you back to those days of malt shop memories and hot rod rock-n-roll.